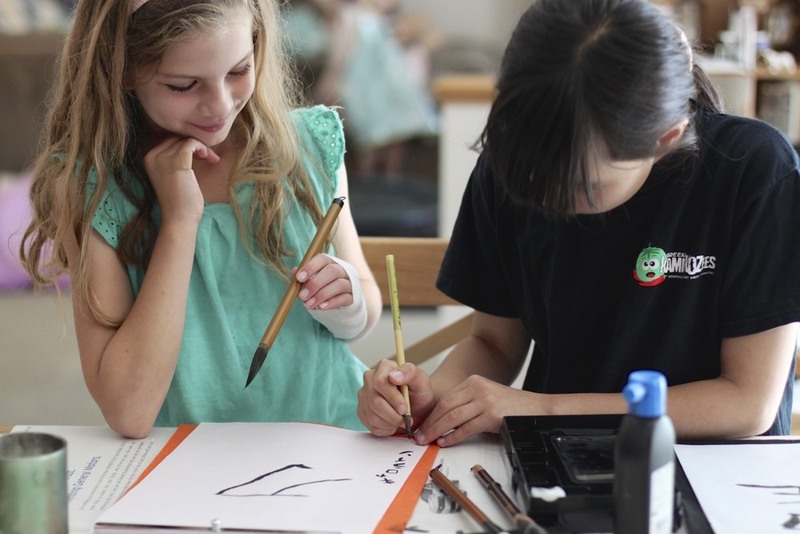 Yesterday we enjoyed friends we haven't seen for a while and practiced a new art: Japanese calligraphy. I was in charge of keeping my toddler and my friend's toddler at bay while my friend guided and directed each of my girls with calligraphy. I love the beauty of Japanese calligraphy and always have since taking a Japanese Art class in college. (I was an Art History major.) There is something about the contrast of simple, intentional strokes of the black ink on crisp white rice paper that is absolutely beautiful in its simplicity. By the time both little toddler boys had had enough of sharing with each other and naps were approaching, we had an amazing pile of calligraphy covering my table. Goodbyes were said and the very content feeling of friendship lingered in my home the rest of the day. There's nothing better than feeling loved by someone gently teaching and inspiring your children.